In a market where harsh toxins and chemicals are disguised with pretty packaging, we stand against and differentiate from them. While embodying beauty with nature, you will see the best results in beauty and health. We incorporate beauty with a conscience not only as a tagline, but a way of life. Beauty does NOT need to be harmful to consumers or Mother Earth. Fueled by this belief, we developed the BEST natural and organic skincare products on the market, using plant based oils and extracts. Our products are safe, effective, and affordable. We are committed to striving every day to improve our products and impact the world. High-Quality Skincare Products: We source only the highest-quality raw ingredients to produce the most effective products. We take pride in making every single one of our products using natural and organic materials. We do not and will never use alcohol or parabens in our formulas. 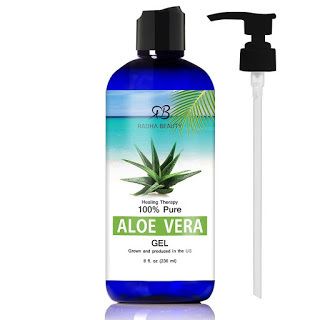 No synthetic fragrances or alcohols are used for result-based natural and organic skincare products. 100% Natural and Organic Essential Oils: “Indigenous cultures have long known the value of botanical substances and have used them for their healthful benefits,” (Joeseph Chang). We bring these benefits to our customers with 100% pure and natural oils. Each oil is formulated with scientific insights from ethnobotany and features 100% pure, natural ingredients used throughout history. They can be used topically or aromatically to provide a variety of sensory and wellness benefits. 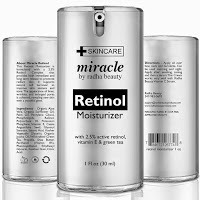 Naturally moisturizes and softens skin, giving it a radiant, and energetic look. 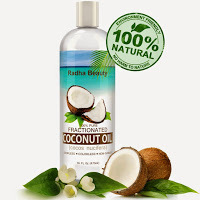 Leaves hair naturally smooth, silky and healthy, while repairing dry, frizzy, and brittle hair. 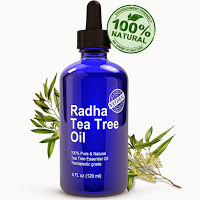 Radha Beauty's Organic Jojoba Oil is a wonderful product! 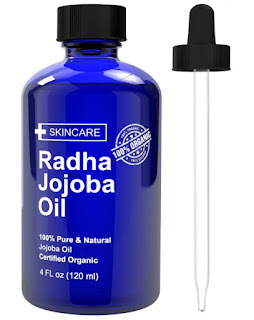 I love that Radha Beauty's Organic Jojoba Oil is all natural and organic. It also comes in a dark amber bottle to keep it pure and fresh. I use this Radha Beauty Organic Jojoba Oil in my hair as it dramatically reduces frizz. It also helps my hair look and feel more moisturized. It's perfect for using on your skin and did a wonderful job to soften my elbows which are always dry and itchy. This is a terrific product and I highly recommend it! 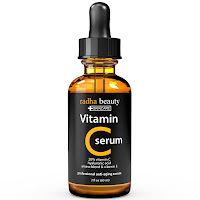 Made with new cutting edge technology, Radha Beauty brings to you a serum for your lashes that you can count on. Proven results and no irritation. Make brittle and broken down lashes a thing of the pase with added key ingredients. Rapid results of a 30% increase in just a couple weeks and a 75% increase after six weeks of regular usage, giving your eyelashes a more beautiful longer and thicker lashes. Trials show over 96% of women reporting an increase in eyelash growth within just 14 days, 97% reported an increase in fuller lashes, and 100% reported an overall improvement in moisture, nourishment lash health, 98% of women needed less mascara, 100% would recommend it to a friend. Say goodbye to tiny brittle lashes and say hello to longer, fuller beautiful lashes with the first try! 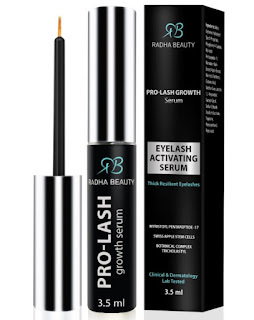 Obtaining a youthful, healthy look has never been easier than with Radha Beauty Pro Lash and Brow Growth Serum - No irritation or allergic reaction - Tested and proven! Tested for a non irritating, allergenic formula that works for everyone - Providing only the highest quality in products to ensure the best results given with maximum satisfaction - A 100% safe and effective formula! 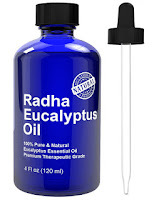 Radha Beauty's Eyelash Growth Serum is amazing! My lashes felt moisturized which I never even thought was an issue until using this product and feeling the difference between dry eyelashes and eyelashes that are moisturized. I have also noticed that my lashes have started to thicken. I really like that this product can also be used on your eyebrows to encourage growth. My eyebrows are pretty thin but I can already tell that they are growing faster than they normally do. 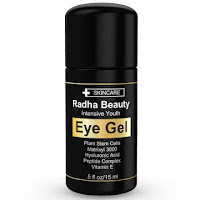 Radha Beauty's Eyelash Growth Serum is 100% safe and seems to work quite well. I highly recommend this product! 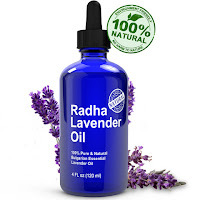 Follow Radha Beauty on social media! 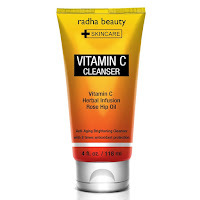 Check out my other Radha Beauty Reviews!